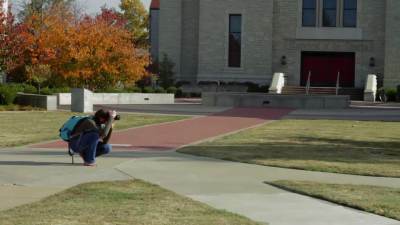 Learn about the Photography Major at JBU. I think one of the best things about JBU's photography program is the students. The student body. To have the kind of peer involvement that you have with your fellow student is invaluable. It's not a fend for yourself sort of major it's a hey, let's grow as a community and let's get to know each others styles and improve each others styles. Our photography program at JBU is kind of threefold. We study commercial photography, Fine Art photography, and social documentary. We make those distinctions among a field where all of those are potential careers for students. The professors were very hands on. They weren't just teaching you something then walking away and not talking to you until the next class period. It was very important for me to see that at JBU. I feel like I have a really good portfolio leaving here and I feel like I'm really prepared for the real world now. I love students who will become corporate photographers, they'll become commercial photographers who might shoot for catalogs, for food, for products, for advertising, or for any of those things. Photography can be something where you can band with other photographers and learn from each other and go to workshops at each others hosting and stuff like that. To better improve your skills. Iron sharpens Iron that way.